Answer all the questions in the spaces provided. 5 What is meant by each of the following in crop production? 10 What is meant by each of the following in agroforestry? (b) A farmer applied 200 kg of CAN (20%N) per hectare on his ﬁve hectares maize crop. Calculate the amount of nitrogen the farmer applied on his crop. Show your working. 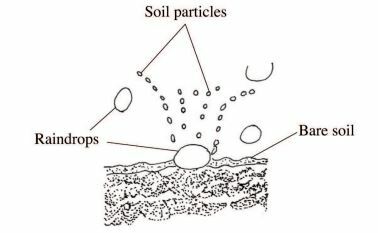 17 The diagram below illustrates a type of soil erosion. 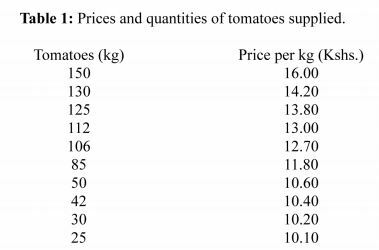 18 The table below shows the population and gross domestic products of countries A and B. 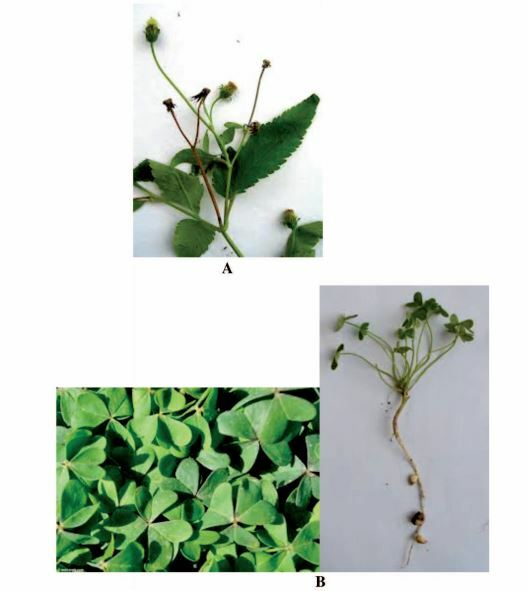 19 The photograph below shows weeds labelled A and B. (c) Which category of herbicide will he most suitable to control the weeds labelled A and B? Answer any two questions from this section in the spaces provided after question 22. 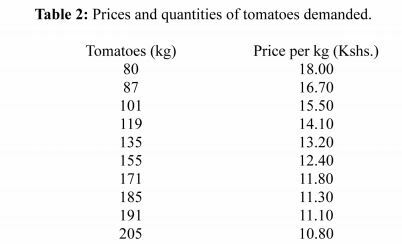 22 (a) The tables below give information on the supply and demand schedules for tomatoes on a market. 15 The picture below shows a poultry farm structure. 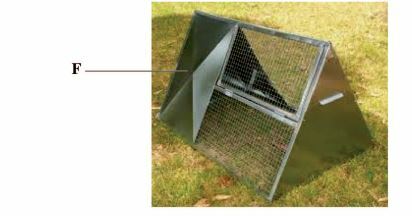 16 The picture below illustrates a livestock organ infested by a parasite labelled E.
17 The pictures below illustrate two rabbit breeds. 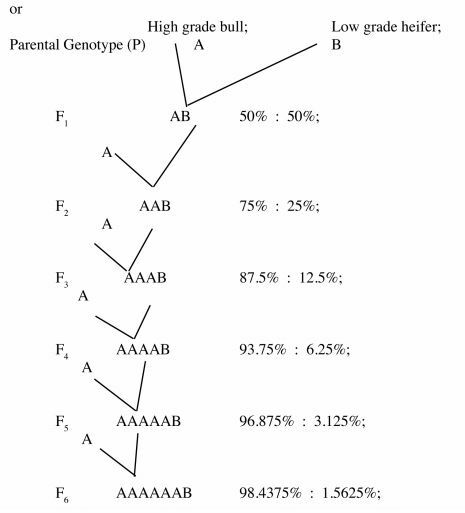 (a) Name the rabbit breeds shown above. 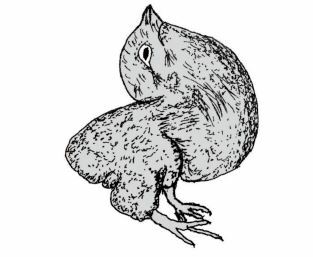 18 The following is an illustration of a chick suffering from malnutrition. 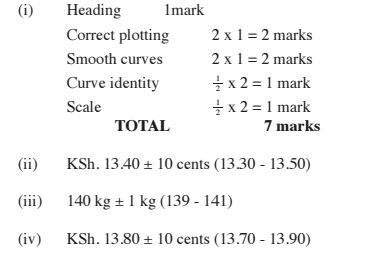 Answer any two questions from this section in the spaces provided after question 21. (vii) Promotes microbial activities in the soil. (vii) It buffers soil pH. (viii) Prevents loss of nutrients by volatilization. (v) Vegetative materials cannot be sored for long. 15. It is the act of deciding on how to allocate available scarce resources to alleviate uses based on the farmers interests.
' Personal injury or sickness.
' Demand for a commodity uncertainty. (b)~ Participating in exhibitions and competitions at ASK shows.
' Involvement in agricultural projects at club level.
' Participating in YFC annual rallies.
' Involvement in workshops & seminar related to agriculture.
' Participating in national tree planting activities.
' Participation in exchange programmes. (c)' Registered land can be used to secure credit facilities.
' Registration minimises land disputes.
' Security of tenure encourages long term investment projects/ensures investment on land.
' Enables occupant to lease or sell part of the land. 21. (a) (i)Farmers training eg. in FTCs on improved methods of maize production. (ii) Provision of extension services to advise farmers on modern maize production techniques eg. irrigation, use of certiﬁed, irrigation, pest and disease control to reduce cost of production. (iii) Provision of subsidies on farm inputs eg. fertilizers. (iv) Provision of credit facilities eg. through AFC, to ﬁnance maize farming operations. (v) Imposing high taxation on imported wheat and maize products to discourage importation and protect local farmers. (vi) Quality control to ensure production of high quality maize that can attract foreign markets. (vii) Supporting research into new and improved varieties of maize for high yields. (xi) Provision of tractor - hire service. (xi) Ensuring effective control of pests/diseases/weeds. (xii) Ensuring effective soil and water conservation measures. (b) (i)To make the plant take a desired shape. (ii) To remove diseased parts to prevent disease spread. (iii) To control cropping to ensure production of high quality fruits. (iv) To ease penetration of sprays to minimise wastage. (V) To control pests/diseases by eliminating the micro-climates. (Vi) To facilitate light penetration and optimise photosynthesis process. (vii) To remove dead/broken pans. (viii) To remove old/unproductive parts on which resources are wasted. (X) To facilitate management practices e.g weeding and harvesting. - Carrying out secondary cultivation.
' Prepare land early during the dry season.
' Deep ploughing to remove perenial weeds.
' Harrow to medium tilth.
' Carry out soil and water conservation measures.
' Plant at the onset of rains/dry plant.
' Space according to variety 75 - 90 cm X 20 - 30 cm. - Plant one or two seeds per hole.
' Planting depth 2.5 - 10 cm depending on the moisture content.
' Plant manually or use planters.
' Use phosphatic fertilizer/organic manure at a ratio of 120 kg/ha.
' Harvest after 3 - 9 months.
' Harvest When the Whole plant dries/harvest according to market demand.
' Harvest manually by hand or use combine harvesters.
' Cut and stook the maize if harvesting is manual.
' Remove the cobbed maize from the husks. Hold upside down using hind legs and swing the calf. 3. (a) One that requires two hosts to complete its life cycle. 6. Vaginitis eg. Bovine Trichomoniasis. Lack of skills and knowledge in control of external parasite. Some are highly mobile/high mobility eg tsetse ﬂies. From the fourth week; whole milk is gradually replaced with a mixture of whole and skim milk. Lost bolts and nuts are replaced. Respiratory rate - irregular respiration shown by non-rhythmic inspiration and expiration indicates ill health. Pulse rate - Abnormal pulse rate under normal physiological status indicates ill- health. Posture - while standing or lying. Behaviour eg. abnormal sound, aggression, excitement. Appearance - eg. dullness, restlessness, pot belly, bloated. Movement eg. gait, eg, standing or limping when walking. Mucuors membranes (abnormal) eg. bright red colour, yellowish, blueish depending on disease.